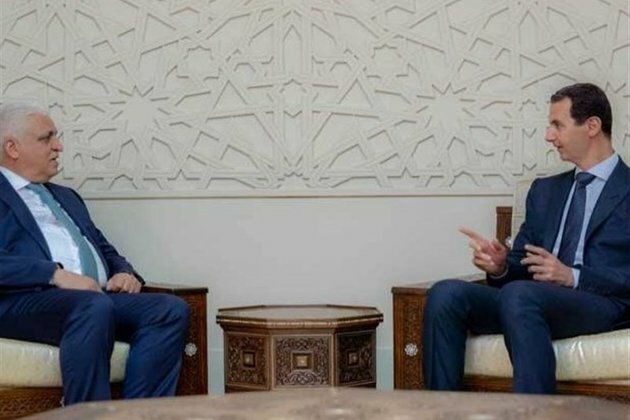 "The fate of the region must only be determined by the peoples of the region no matter how big the challenges become," Assad said during a meeting with Iraqi National Security Adviser Faleh al-Fayad in Damascus on Sunday, SANA reported. The Syrian leader then emphasized that the promotion of bilateral relations between Syria and Iraq will serve the interests of the two brotherly nations, and will help complete annihilation of terrorism. Fayad, for his part, stated that Iraq regards Syria's might and victory over terrorism as its own, and that any Iraqi military achievement will be in the best interest of Syria's stability.